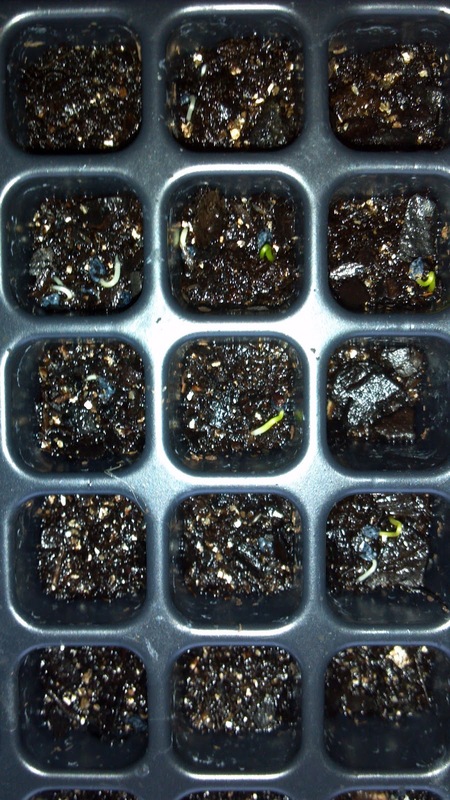 In the professional world of growing, some plants are so hard to start from seed they are usually propagated from cuttings. (Rooting cuttings is another special skill and there are greenhouses that specialize in that.) But the seed companies keep selling those hard-to-germinate seeds anyway. Rain works better than water. Even old seeds and seeds with low germination rates will come up in the rain. One of my greenhouse workers used to call it, "Love water from the sky." Seed planting days are scheduled around the weather forecast. If rain is coming and it is Spring or Fall, every other chore is dropped and everyone is on planting duty. Cover them with vermiculite. Use enough vermiculite so that you can't see the seed, even big seeds. Covering them with soil or sand will work, but it takes longer and doesn't work as well. Use vermiculite of at all possible. Growers buy it in huge, 10 cubic foot bags. It doesn't pack but it holds moisture so the seeds are protected but can easily push through. After they have been thoroughly watered, cover them and keep them warm. A very successful grower friend told me to cover the sage seeds with a wet towel. Works great for him. He is one of the most successful growers in the country so I feel like I should share his advice. But I do it differently. 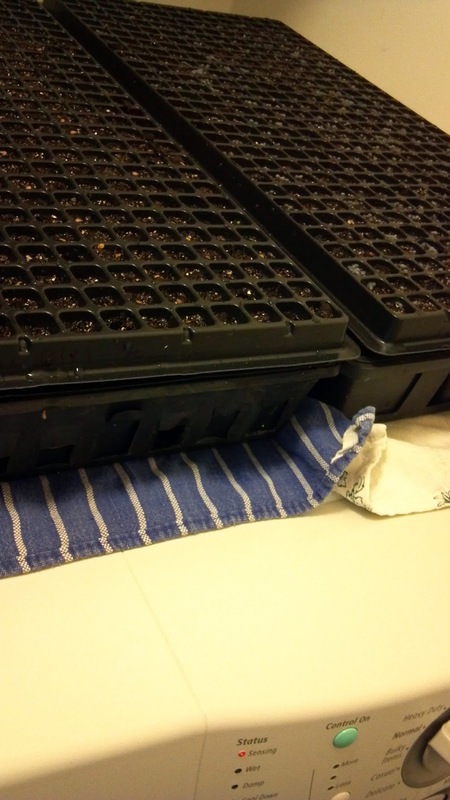 I stack the trays and put them on a propagation mat. Yes, I stack them. New employees would visibly shake the first few times they had to do this. Be sure they don't nest into one another; that would pack the soil. Packing the soil is a BIG no-no. Even if we had the room in the Spring, which we never do, we would still stack them. Stacking the trays covers them and produces a mini pressure cooker effect. They stay wet longer and the moisture is sort of driven into the seeds. The propagation mat warms the soil and intensifies this effect. The soil temp, not air temperature or sunshine, determines how fast the seed will germinate. In the case of hard-to-germinate seeds, it can determine if they are going to grow at all. You can order this fancy piece of equipment, or you can put them on top of the dryer and do a lot of laundry. If you have a greenhouse, put the stack in the sunniest location. They will all warm up and the mass will hold the heat better than individual trays. Check every tray every day. They are going to germinate while you are not looking. Even if you are looking, they will do it quietly, so pay attention! If you don't get them into the sun their first day, they will always be spindly and weak-stemmed. Merry Gardening Plant Junkies! If this was helpful, follow my blog! What about parsnips? Any tips for getting them to grow? How did I miss this Q? Parsnips are in the carrot family, a slow and finicky family. Keep them covered and wet and warm. 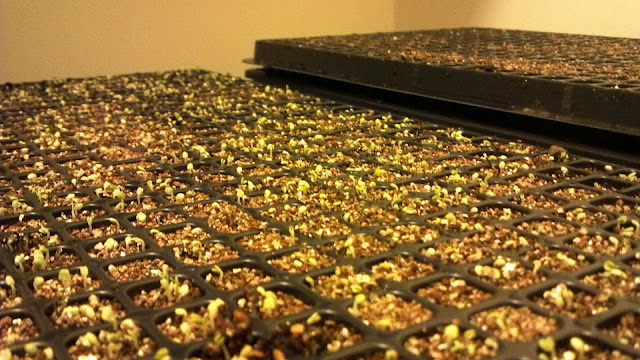 The best germination I have gotten is on a wet paper towel covered in plastic wrap in a sunny window. 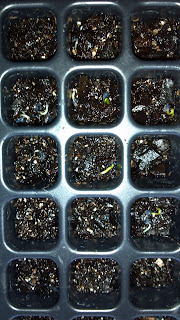 It proved to me that the seeds were good. Kind of disappointing since I couldn't get them to come up in the garden and I was hoping the problem wasn't me. Plant them before a rain in a mulchy soil and be sure you know what the seedlings look like so you don't miss them. They are hard to see at first. Mark the row with sticks. One of the great discussion this site. It is very useful article to us and for all. It was very necessary to me that i got to you. I hope it must be well done for all. I appreciate this conversation about this mater. Thanks a lot for letting a new conception.